Today was officially the start of my new adventure. Upon waking up in the morning, it took me a few seconds to remember where I was. 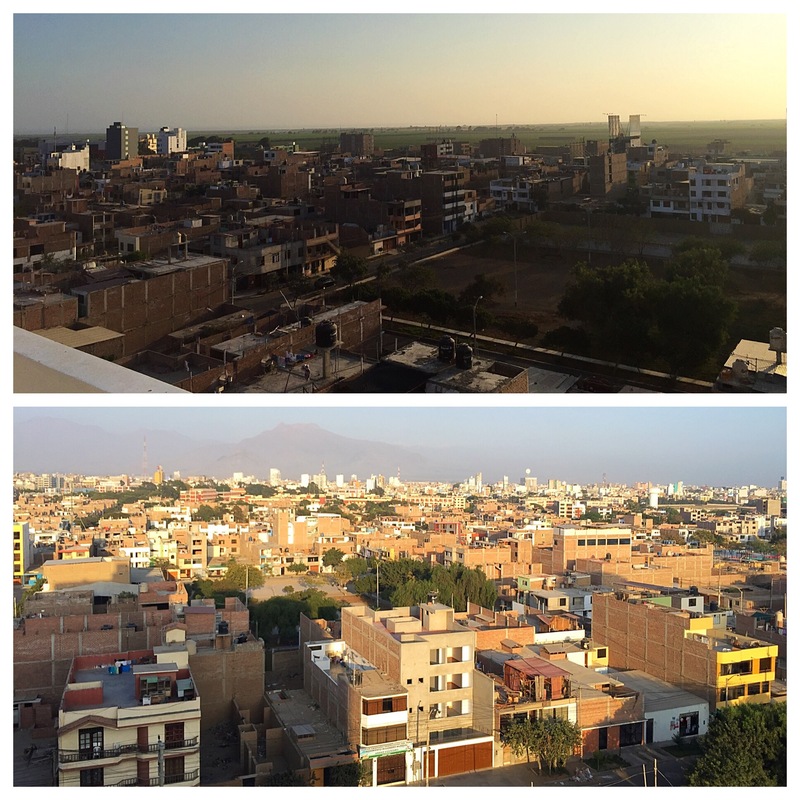 But after the initial shock of forgetting I just traveled abroad settled down, I quickly realized that I was in Huanchaco, Peru- a place I will eventually come to call my home. In my short time here, I’ve come to appreciate one of life’s treasures that I believe so many of us take advantage of back in the States. Yes, I’m talking about Charmin Ultra Soft. I’ll just leave it at that and let that resonate for some time. I’ve also come to find out that maybe more people are actually reading this than just my mother and possibly my grandmother too. That adds a whole new level of pressure, seeing as I’ll have to write more than just what I’m eating and how I’m keeping safe every second of every day. To really push myself into this new adventure ordeal, I went for a run this morning alongside the beach. (I know- I’m just as surprised writing that as you probably are reading this). 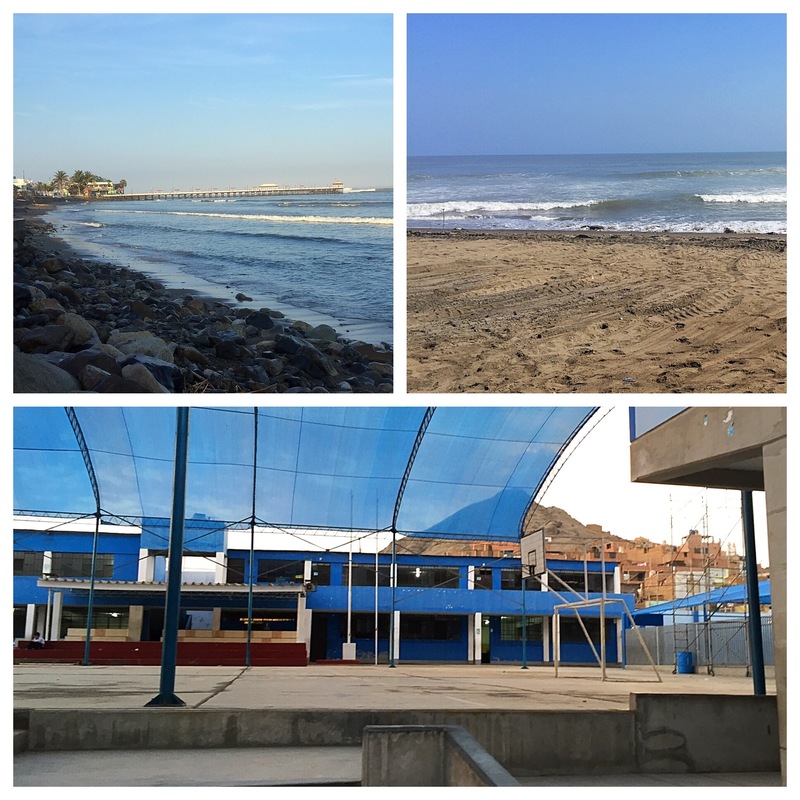 Not only is Huanchaco known as a fisherman city and for its seafood, but it is also known as a surfing town as well, since the waves appear to always be in full flight. In fact, we can even hear the sound of the waves crashing down from the house we’re staying in. Sometimes you have to make sacrifices in life, and I guess sacrificing Charmin for an oceanside view will have to do. This afternoon, I had a pre-evaluation to assess my current knowledge of the Spanish language. I read aloud a case study and was asked to answer questions solely in Spanish regarding how I could help normalize a teenage pregnancy, how to explain depression to a teenager, and an example of a technique I would use to help a teenager calm down from nerves at any given moment during a session. My responses were recorded and will be heard by four of our professors as well as the owner of our house who is not in the counseling field and who does not speak English. The purpose is to assess each student’s needs and to see if a local would understand our explanations and techniques. This will set the foundation of our learning goals throughout the upcoming weeks. I had lunch at a local restaurant, where I paid 10 soles (less than four dollars) for a tamale, pollo saltado con arroz y papas, and a sweet drink made from a local fruit. I wanted to take pictures, but my hunger got the best of me. 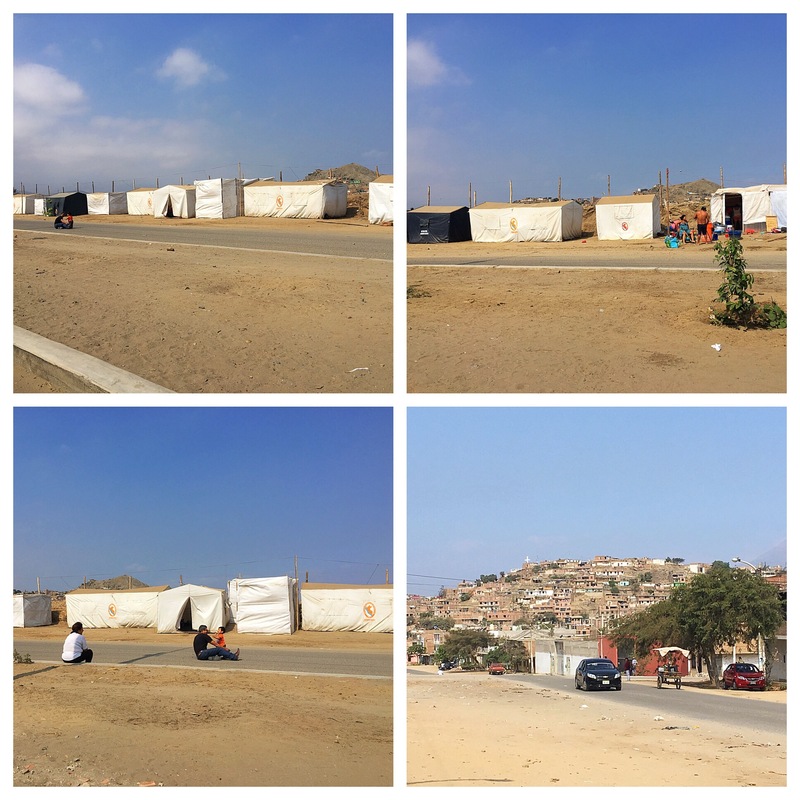 Our evening was spent in Trujillo (what you are looking at in the pictures), where we had our first class- Psicología en Perú with a local psychologist. I’ll have to provide more concrete details once the PowerPoints are shared with us, but we learned about mental health care in Peru, and how while even though there are laws that entail for mental health care to be accessible for all, this most certainly is not the case. For someone seeking mental health care in a hospital setting, the psychologist only has 10-20 minutes with that individual to provide an initial intake. The initial intake covers basic information about the person, as well as a brief assessment, in which only one question really matters. Have you thought about or attempted suicide within the last three months? If the individual answers yes to that, and apparently only that, only then will he or she return for services. However, services entail follow-ups consisting of taking other assessments each session. And you only have 10-20 minutes total for your session, if even that. Imagine any time you describe a difficult day you had at work to a loved one, or the last time you complained about a coworker or someone who cut you off on your way home. Now imagine trying to get all of that out in 20 minutes at most. And now imagine trying to discuss symptoms and issues you are experiencing pertaining to your mental health in about 10 minutes. There are 20 inpatient agencies and 21 community agencies (focusing on medical and mental health together) throughout the country that are meant to serve the millions of individuals living here. One newspaper article showed a lady who attempted suicide three different times, but was unable to be hospitalized due to a lack of beds in the agencies. Imagine that for just a moment. With regards to substance abuse, the main modality of treatment here appears to be through the church. If you can put your faith into a higher power, and a higher power alone, your addiction will be “fixed.” Social workers can be found giving brief prevention-based education in the schools to that it can be said that the material has been “covered.” And if you want to talk about an individual with a severe and persistent mental illness, let’s say schizophrenia, for example, such an individual would be asked to go in for medication once a week. He or she would then be expected to continue to go in for more medication on a weekly basis. And that is your mental health care, in a condensed version. As a side note, there are great providers trying to make a difference here, just like in other countries as well. But this is the general sense of how mental health functions throughout the country. If I’m not mistaken, the amount of money that would be required to get Peru to where it should be with regards to mental health care is 800 million soles (less than 245 million dollars). The actual amount being spent on mental health care by the government is roughly 69 million soles (a little over 2 million dollars). The wealthy people in Peru live (viven), while those without money survive (sobreviven). Having started this post talking about a quality of toilet paper, I can’t help but think how fascinating it is what so many of us take for granted. This week’s Snapshot Challenge is a picture taken from the airplane, right before landing in Utah a few weeks ago. We may not know exactly where our path will take us, but if we can learn to appreciate the journey along the way, we’ll find that life will be much more enjoyable. Yesterday, my brother, sister, and I participated in the Miami Half Marathon for the second year in a row. We wanted to run in an attempt to raise money and awareness for Misioneros Del Camino—a cause that is very important to us all. After months of training, the big day had finally arrived! And go figure, it just so happened to be the coldest day of the year here in South Florida (which we were very thankful for). We woke up at 4:00 in the morning to get some last minute carbs and protein in for breakfast, and made our way over to the American Airlines Arena, where the race was set to begin at 6:00am. When we arrived, we walked over to our assigned corral, and were in the company of 25,000 runners from over 80 countries! Running throughout South Beach, Downtown Miami, and Brickell was invigorating, and the sights were incredible! What I enjoyed most about the event was the amount of individuals on the sidelines and all throughout the streets who cheered us on. Complete strangers spent their entire morning motivating us to keep on running. It was absolutely beautiful, and it made the event even more memorable. And running alongside thousands of individuals from all over the world, and working together to reach a common goal by pushing one another forward was incredible. After 12 full weeks of training and 173.06 miles completed, we crossed the finish line and were finally ready to rest! This experience was definitely one to remember, and seeing how many loved ones came together to help support our cause has left me speechless. We were able to raise over $2,700 these past few weeks, which will help provide four children special education and daily therapies for an entire year—all for free at Misioneros Del Camino! Thanks to everyone’s help, we have been able to positively affect the lives of numerous children, and we will be able to help give them hope for a brighter future; one which they deserve! I could not be any more grateful or appreciative, and for that, I thank you all.